It's been a while since I last tried a drugstore foundation, I usually stick with my beloved Estee Lauder Double Wear Light foundation. Unfortunately my last tube ran out and I wasn't able to repurchase so instead I decided to try the Bourjois 123 Perfect Foundation. 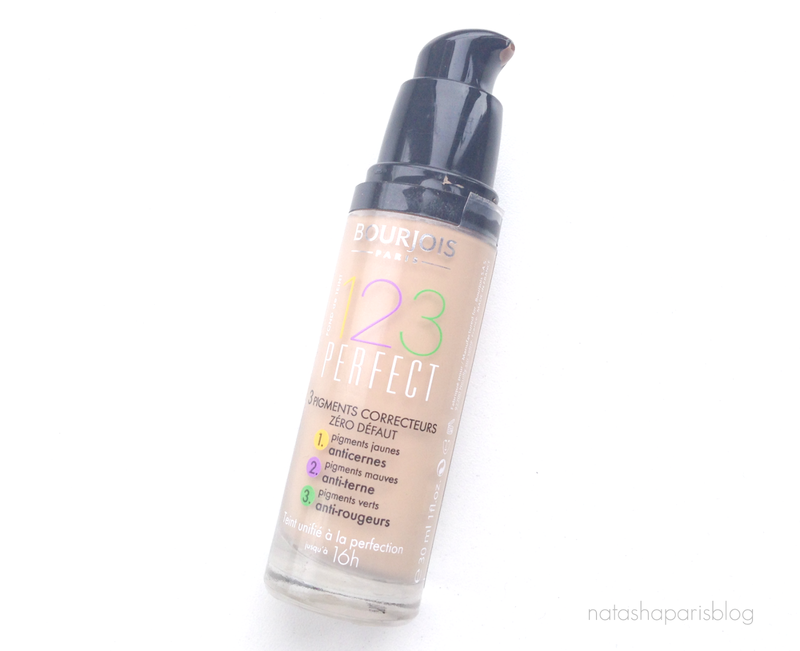 Now in no way am I trying to say that the Bourjois 123 Perfect Foundation is a dupe for Estee Lauder Double Wear - it's not - but I think it's a good product in its own right. Anyway, the shade I went for is 'Light Beige' which can be a teeny tiny little bit too dark for me when I've not faked tanned, but that's not too much of a problem as recently I have been fake tanning quite regularly. 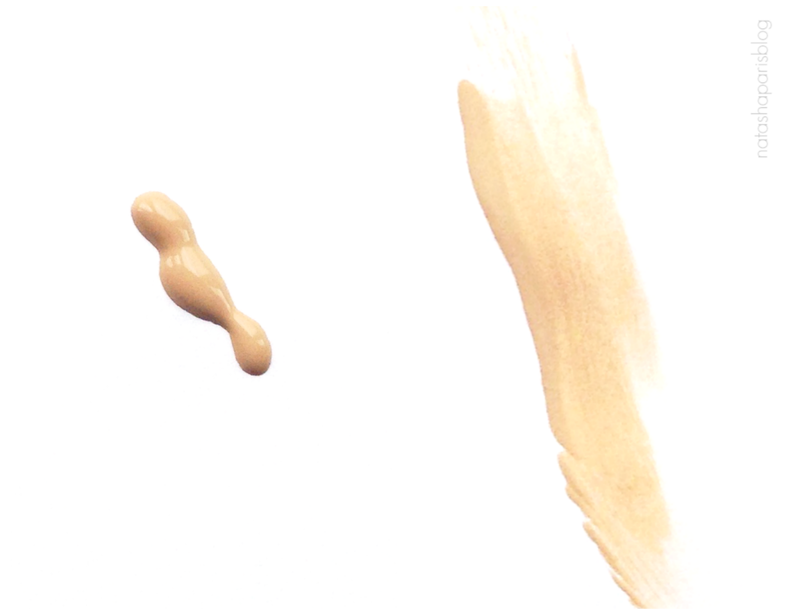 The foundation contains 3 different colour pigments, all of which are known for their correcting properties. These are yellow pigments to disguise dark circles,mauve pigments to prevent help correct skin dullness and green pigments to disguise redness. My skin seems to have quite a lot of redness, which can be quite difficult to cover so this really appealed to me. The foundation provides a good medium coverage and doesn't feel heavy on the skin. I don't see why the foundation wouldn't be able to be built up to a high coverage either, if that's the finish you like. Bourjois claim that the foundation 'gives a flawless even complexion for 16 hours'. Personally I haven't ever needed my foundation to last quite as long as that, but I have found that this foundation stays put throughout the day without the need to reapply. All in all I think the Bourjois 123 Perfect foundation is a good drugstore foundation. It provides good coverage, doesn't cling to any dry patches and doesn't 'disappear' from my face during the day. Oh and it has a pump attached too so you can control the amount of product used. If you want to give this foundation a go it's available to purchase here for £10.99. Have you tried this foundation? If not will you be giving it a go?